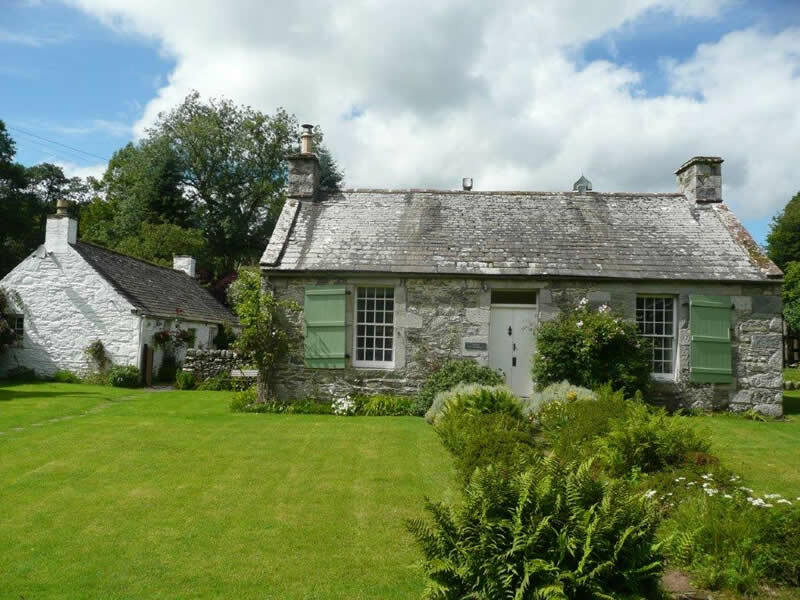 Surrounded by beautiful gardens in the picturesque Clachan of Anwoth these two attractive cottages provide an idyllic haven for couples seeking comfortable, homely, characterful accommodation in a tranquil location. Opposite the cottages sits the atmospheric ruin of Anwoth Old Kirk which together with Anwoth Old Schoolhouse was used as a setting for the infamous film The Wickerman. Other Wickerman locations are within are a few miles. Many species of birds inhabit the gardens and their visits to the feeders together with the antics of the red squirrels provide many hours of entertainment. Red Kites are often seen performing their spectacular manoeuvres in the sky overhead. The heron and occasionally the otter visit the burn in search of small brown trout. Roe Deer, Fallow Deer and Badgers frequent the bordering woodland. Set at the heart of the scenic Fleet Valley the cottages are an ideal base from which to explore, by foot, bicycle or car, this designated area of outstanding natural beauty. There are many interesting and varied walks straight from the doorstep and several quiet beaches to explore within a few miles of the cottage. The attractive wee toon of Gatehouse of Fleet is just one and a half miles by quiet scenic road and has a good selection of hotels, cafes and shops. It also boasts several tourist attractions well worth a visit, a challenging golf course, river fishing and beautiful gardens and nurseries. Copyright © clachancottage.com 2015. All Rights Reserved.